This is another shot from giantchess. Pawn piece comes in giant size. It is not as popular as King, Queen, Knight pieces but it is worth to keep. 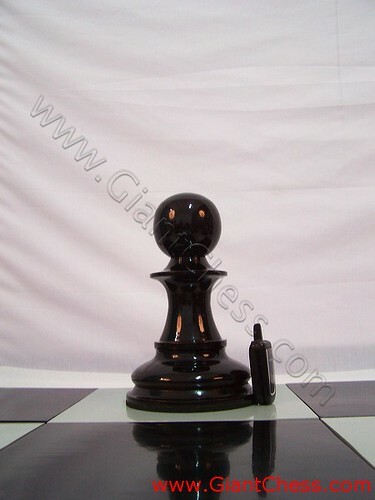 Beside as chess piece for chess game, the pawn can also use for house decoration. As furniture decoration, this color is easy to match with your contemporer furniture. Very interesting to put on table or library room. It has unique and antique look. This chess piece supports your tropic or classic decoration theme. Carved by our expert craftsman and polished well. Has made from the strongest wood in the world, named Teak wood. So that you can left it outdoor for months without worry about the damage. Have it now!